We present a constant-round protocol for general secure multiparty computation which makes a black-box use of a pseudorandom generator. 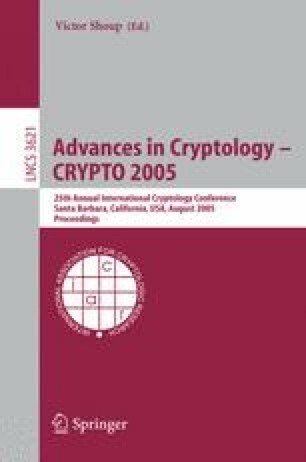 In particular, the protocol does not require expensive zero-knowledge proofs and its communication complexity does not depend on the computational complexity of the underlying cryptographic primitive. Our protocol withstands an active, adaptive adversary corrupting a minority of the parties. Previous constant-round protocols of this type were only known in the semi-honest model or for restricted classes of functionalities.